Going by Bachmann's product catalogs, the GE 35 Ton Switcher is almost a no show. 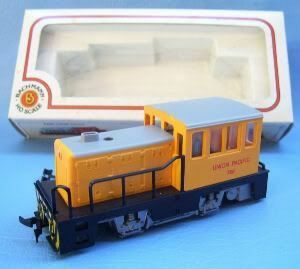 The one appearance I located for this model is Bachmann's 1988 catalog. For 1988, this little switcher is found kicking off the train sets as the power for the Santa Fe Flyer offering. 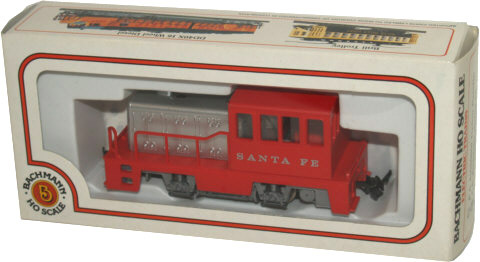 This was Bachmann's entry level train set in 1988 with the 35 Ton Switcher shown in red and silver Santa Fe paint pulling a pair of freight cars and a caboose. 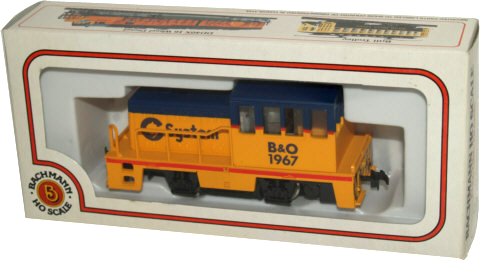 The GE 35 Ton Switcher is not featured among Bachmann's Diesel Locomotives in that same 1988 listing. The Plymouth 0-6-0 Diesel Switcher is cataloged, but not this 35 Ton model. To date, I've seen examples of the GE 35 Ton Switcher from Bachmann in the three roadnames (Chessie, Santa Fe, and Union Pacific) displayed above.